Sharing my views of the world one photo at a time! Enjoy the view. Most Greeks have either “My Island” or “My Village”. For us Poros has become ‘My Island”, probably because it is close enough to our family roots in the Peloponnese, but mostly because we have been welcomed there for many years by some very close friends. They have taken us into their family and included us in many events. We are so fortunate! Poros is a short ferry ride from Piraeus. Close enough for a day-trip. And it is just a stone’s throw from Galatas in the Peloponnese. A day-trip to Epidaurus, or Mycenae is entirely possible. 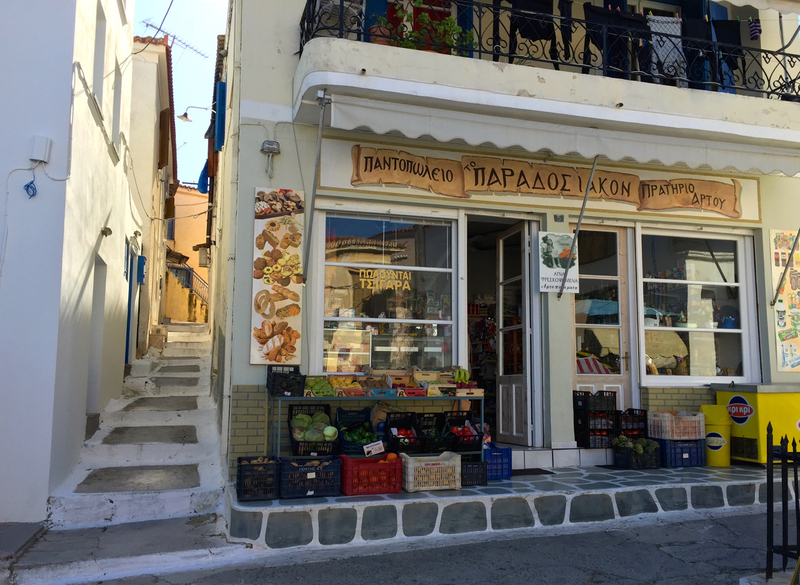 Like everywhere in Greece, people like to sit for hours over a cup of coffee, or drink ouzo and eat grilled octopus and other mezes at a very leisurely pace! Everything starts later. There is no such thing as 7:00 in the morning, and meeting in the afternoon usually means at 5:00 or 6:00. Ask a friend where you will meet for coffee tomorrow and they will say at the port…or at the corner…and “I will look for you”. Ask them what time and they’ll say “in the morning”. Plans are rarely more firm than that! The summertime routine will include swimming, followed by a nap…then coffee in the afternoon! And a light dinner about when you should really be going to bed! 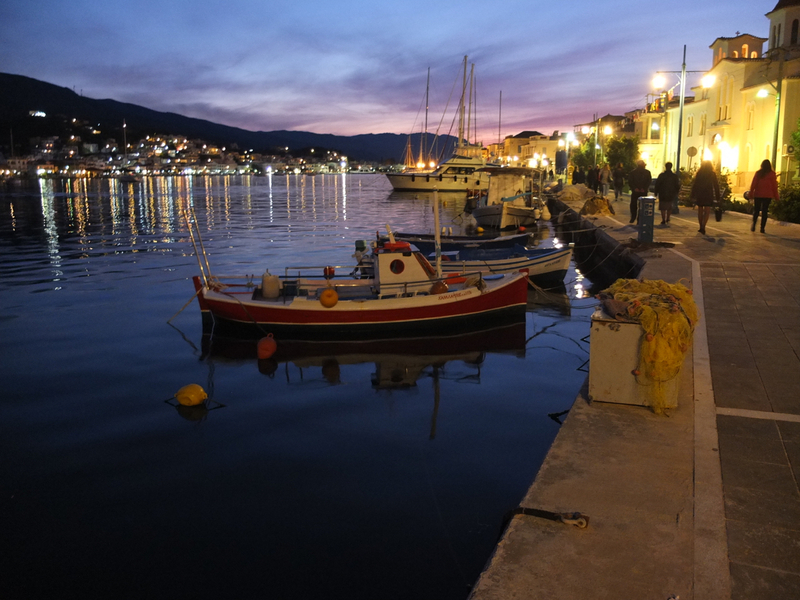 In Poros one must enjoy the simple routines that are common around Greece. But to enjoy them on Poros…now that is something different indeed! 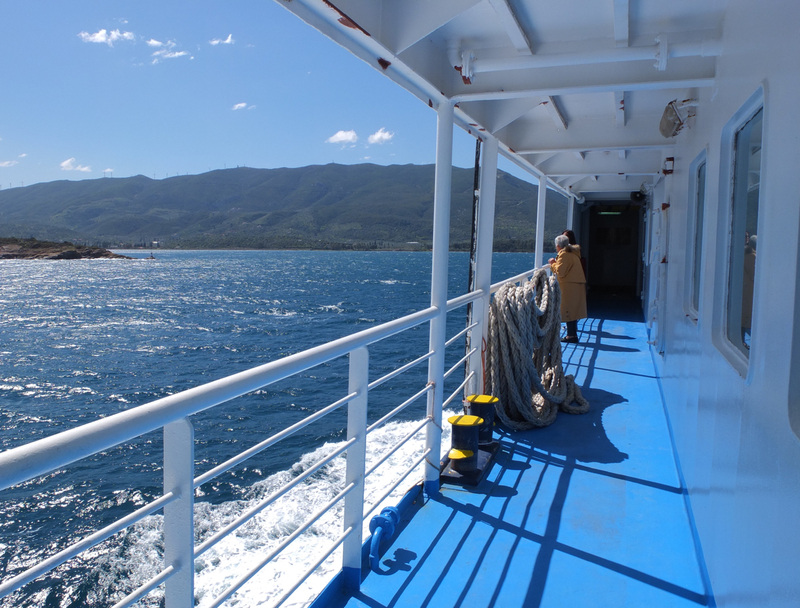 Early morning ferry to Poros – on a brilliant day! 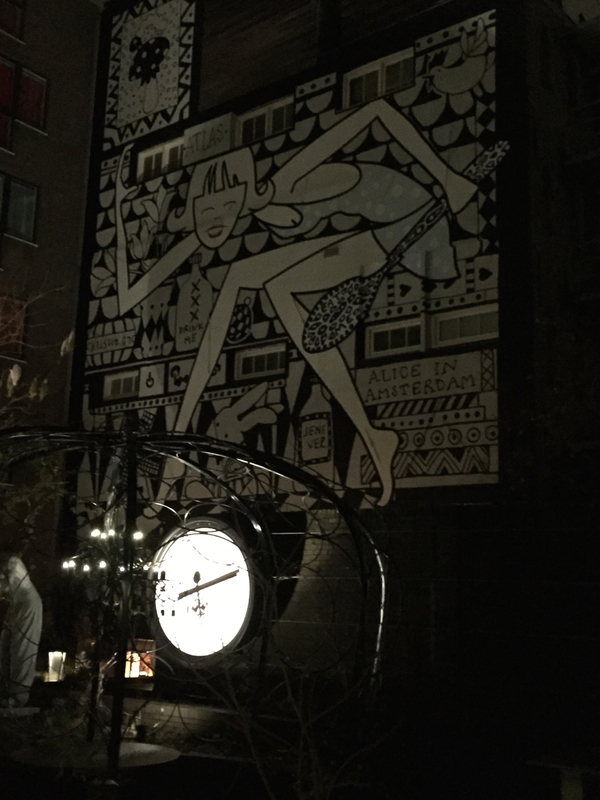 In town on Easter Sunday – our last night. Galatas is just opposite…a few hundred meters away. 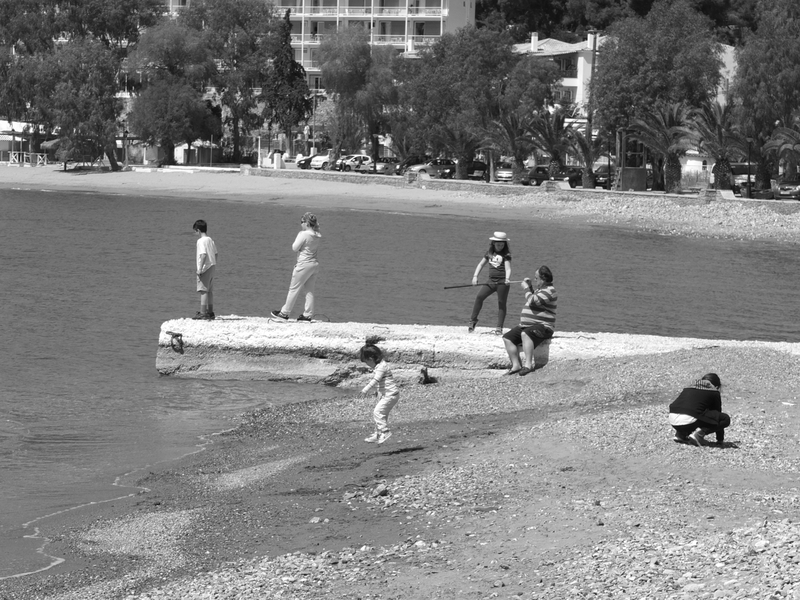 Kids at the beach in Askeli. High up in the village – Poros. 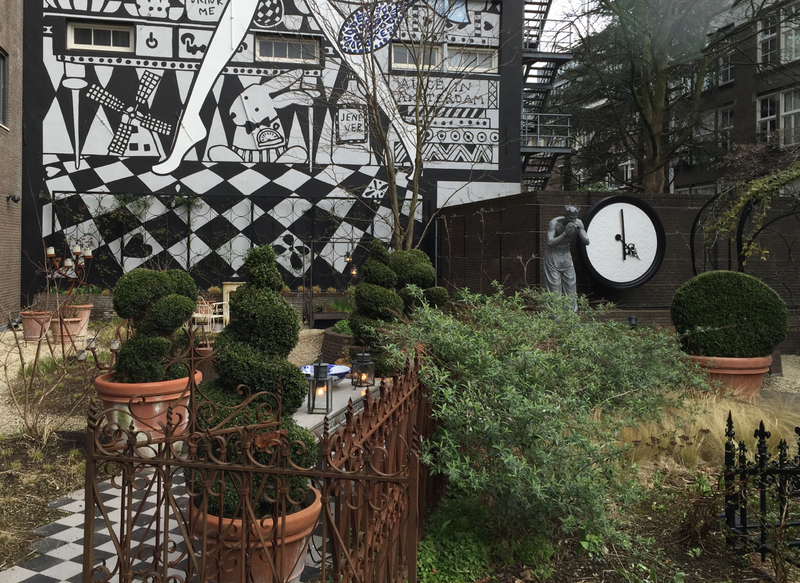 In March 2015 I had a few days in Amsterdam and stayed at the wonderful Andaz Hotel in the Prinzengracht Area. 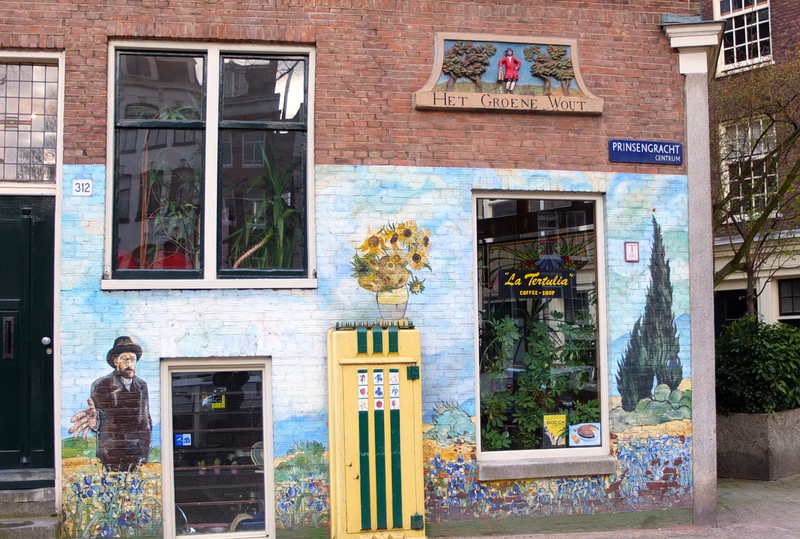 Located in a beautiful area – perfect for walking and bicycling along the canals, and visiting the museums and so many wonderful small shops. Small shops with unique items and many of them handmade! But the Andaz! 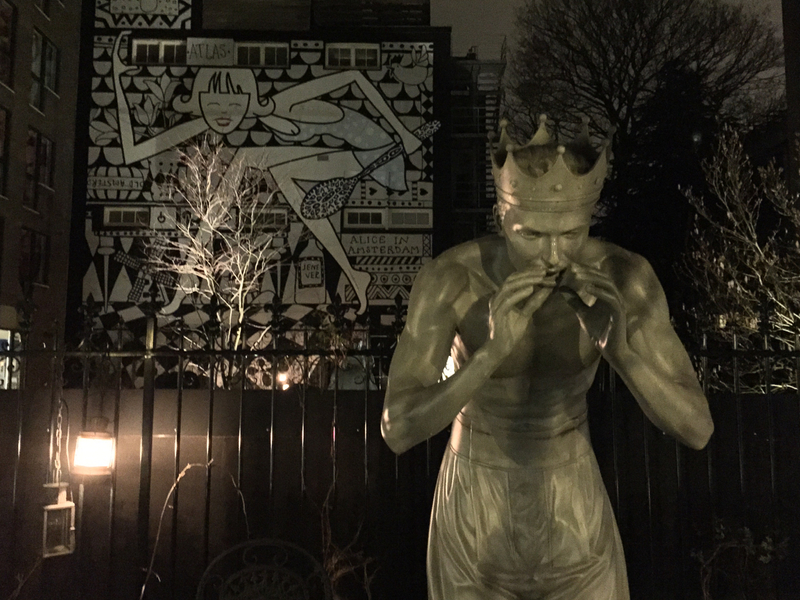 It was amazing, with wonderful rooms; art in the rooms and throughout the hotel, great service, and great food. Usually hotels have a fault or two, but none were evident at the Andaz! The room was an open plan with the sink and shower in the room, and only the toilet and walk-in closet were separate from the room. 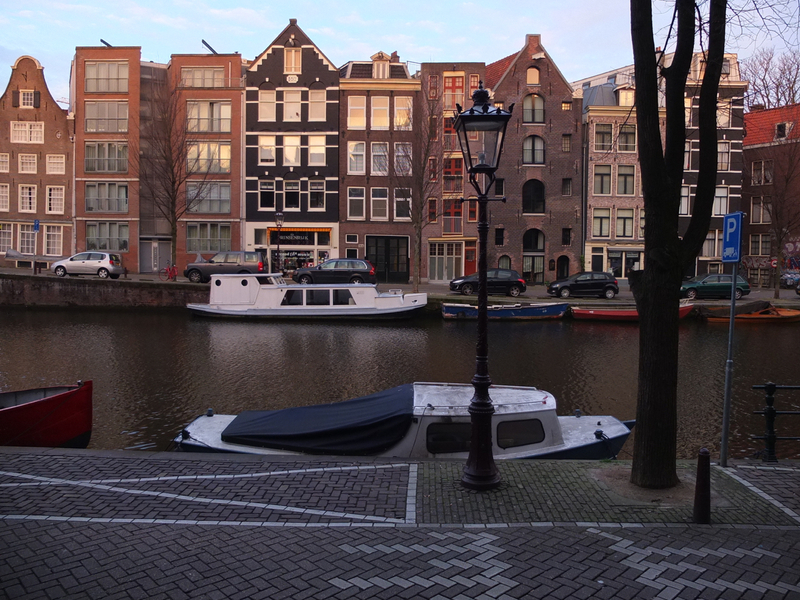 Too bad it was a weekend of all day meetings and too bad it rains cats’n’dogs in March in Amsterdam! Still lots of fun! 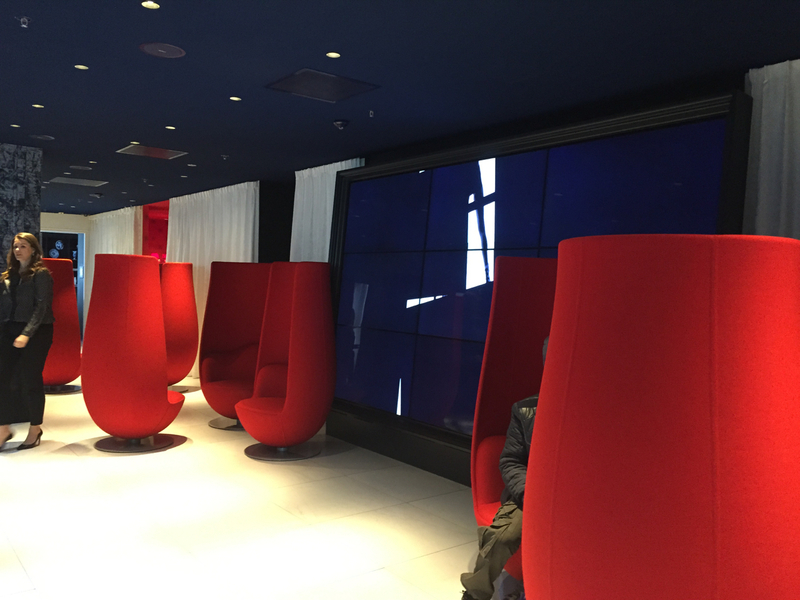 Andaz Lobby with tulip chairs. View from the Andaz Hotel entrance.